Buisson International: Just a Backpack for 16 Days! Ever since I had heard of the term "backpacking", I was dead set that I would NEVER be able to travel with only a backpack. I didn't understand how someone could put all of their clothes and all of their shoes into one small bag and be good for a whole trip. Immmm-possible! It wasn't until last year, when I ran into my friend Adri at an LSU football game who told me she traveled for two weeks in Europe with just a backpack... I started to change my mind. If Adri, who has a similar personality and style to me, can do it, then maybe I can too. When Dave and Jen started traveling all around the world, it got me even more curious. 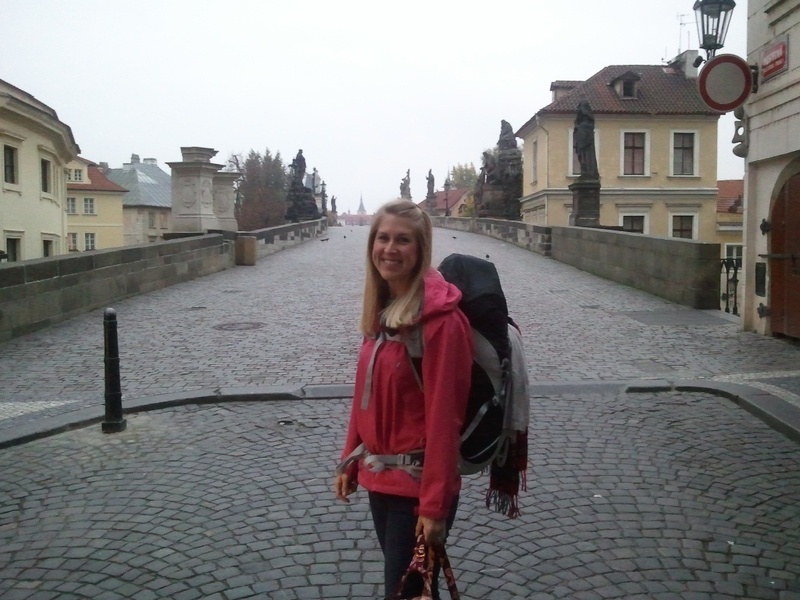 Jen always used her 44L rucksack and nothing else. If Jen can, then I can! And when Luke and I met Jen and Dave in Glasgow back in September, I asked A LOT of questions. I even watched Jen pack up when we were leaving Glasgow. Knowing that Luke and I would be going on this 16 day trip throughout Bavaria, I knew I needed to do a test run early on to practice packing. I'm sorta OCD like that, but it is so worth the time... I had to be sure it all fit just right - exactly like a puzzle! I laid out all of the clothes that I thought would be best for our trip and gathered all of the other "things" I might need and packed them up into my old JanSport bag. It seriously all fit! But there was ZERO wiggle room. Wiggle room is important because items accumulate throughout backpacking trips and the extra space is a necessity! I decided I should purchase another rucksack that is bigger, water repellent and more comfortable to wear for longer periods of time. I handed over a good chunk of change to invest in the Osprey 33L. It has a few different pockets, front straps and many ties to pull it tighter making it smaller. 1.) 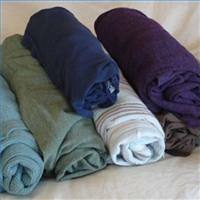 Roll up all of your clothes --- Folding clothes the way they fit into your dresser drawers will not work. That takes up way too much space. Yes, your clothes may wrinkle a little bit (I will get to that in a second), but you are a traveler and you cannot be expected to look fully put together. 3.) Choose clothes that won't wrinkle as easily as others --- Be very familiar with your clothes. Hopefully you are aware of which ones fit into this category. If you don't know, then do a test a couple weeks prior to your trip. Fold up a few shirts and leave them for a couple of days and see what happens. This material dried quickly but didnt go back to its original size without a machine dryer. This material was great for no wrinkles but didn't dry as quickly. 6.) Purchase common toiletries when you arrive --- Toiletries take up the most space and they are the heaviest. You want to keep your pack light and as small as possible. Obviously, there are special products that you require and aren't sure if you will be able to find in you location, so yes, bring those. Shampoo, Conditioner, Body Wash, Toothpaste, Body Lotion, those can all be purchased upon arrival. Keep in mind that you want to keep the products under 3oz or 100mL if you will be carrying your bags on the plane with you. 7.) Pack your bag sensibly --- Items that you may not need access to right away go toward the bottom of the bag. Toiletries or items that need to be pulled our at airport security need to be on top. 8.) Wear your bulkiest clothes on travel days --- Bringing boots? Wear those. Big jacket? Wear it or carry it. Thick pair of jeans? Wear it. Etc. 9.) Pack your bag the exact same way every. single. time. 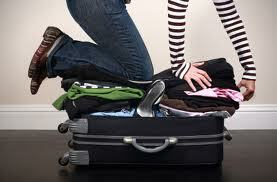 --- If you will be moving locations often, it is important that your dirty clothes still get folded the way they came. You don't need to pack them next to your clean clothes, but they should still somehow be folded to the same size. 10.) 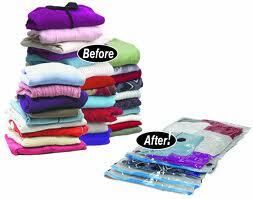 Plastic baggies --- Plastic baggies always come in handy, especially quart size bags. Bring a few and don't throw them away if they can be reused. 11.) Be aware of electronics (for international travelers only) --- Even if you have a travel plug adapter and have checked the voltage requirements, your electronic device still might not work. Check the watts on your adapter and on your electronics to make sure you don't blow the adapter fuse. Happened on our trip. 13.) Bring a belt --- Even if you never wear belts, jeans stretch out and you will regret not having one. It doesn't take up too much space and it is very uncomfortable to constantly be pulling up your pants. Did you hear that Justin Bieber? Belt! 14.) Last and Most Importantly - DO A TEST RUN AHEAD OF TIME --- It takes practice to know how to pack your bag. I did a couple of test runs to make sure I could still fit everything in each time. Luke was so frustrated when I "asked" him to do a test run but he thanked me later for "asking" him to do it. I think that concludes my experience of traveling with a rucksack. My experience was during cold days and we were not prepared. But it did give me tons of insight on what to do and what not to do. Summer traveling always allows for more space in the bag. The winter does not, but remember to wear the bulky items. And buy some space bags!! Thanks so much for posting this. I need some serious help with our upcoming Italy trip. Do you know where I can buy some space bags in Aberdeen? Laine, I have a ton if you can't find any. DuneIn Mill is probably a good start or ASDA. Great post Debbie!! Yep, that's my OCD sister! What a nut case. Love ya! Being OCD comes in VERY handy for things like this :-) And, sis, you too are OCD! Girl! You can do it!!! I had three pairs with me... running shoes, grey boots and tan sperry's. I actually never wore the sperry's because it was too cold. I chose those shoes because I knew there were good for walking and would go with mostly everything. And then I chose my shirts to go with those shoes! You can do it!! !